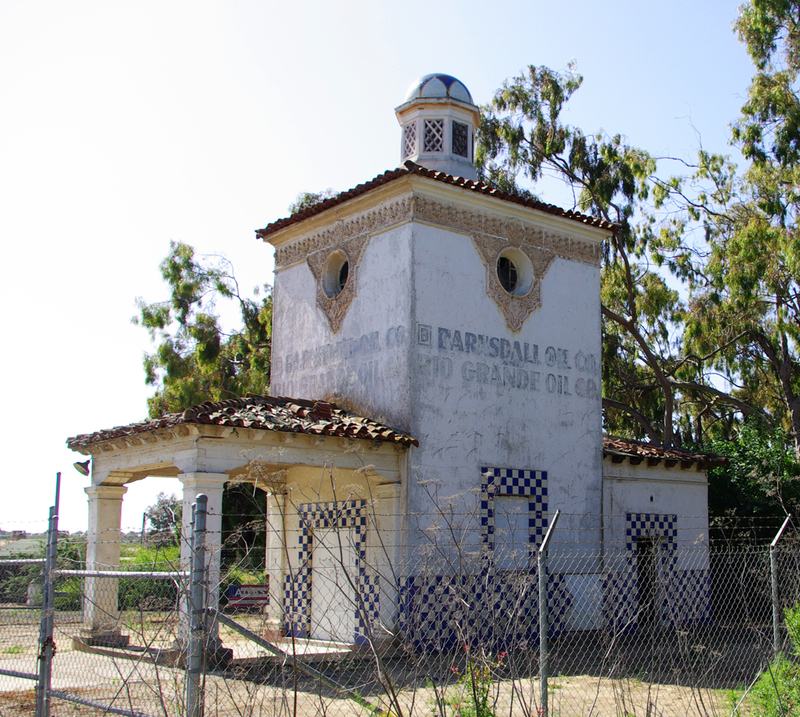 The historic Ellwood gas station was meant to make a statement. 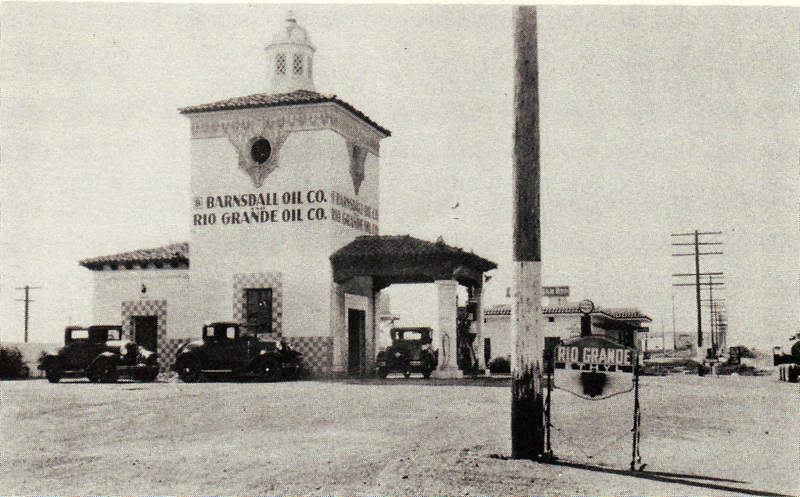 In the late 1920’s the Barnsdall Rio Grande oil company wanted to build a filling station that was second to none. 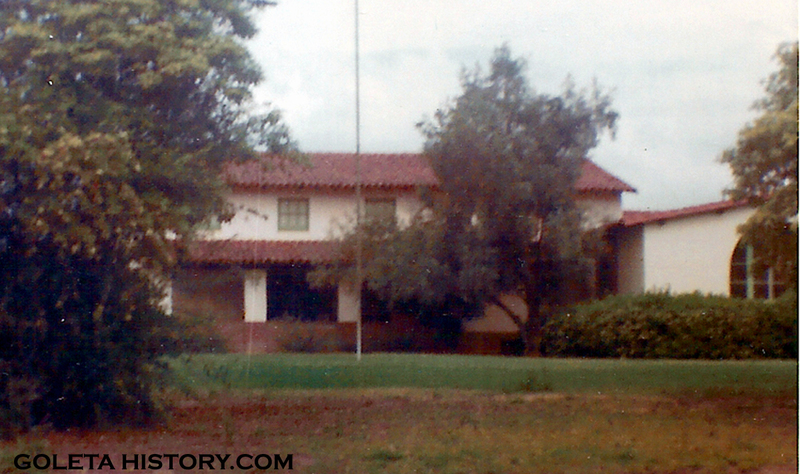 They interviewed many of the most prestigious architectural firms and eventually settled on Morgan, Walls and Clement out of Los Angeles. 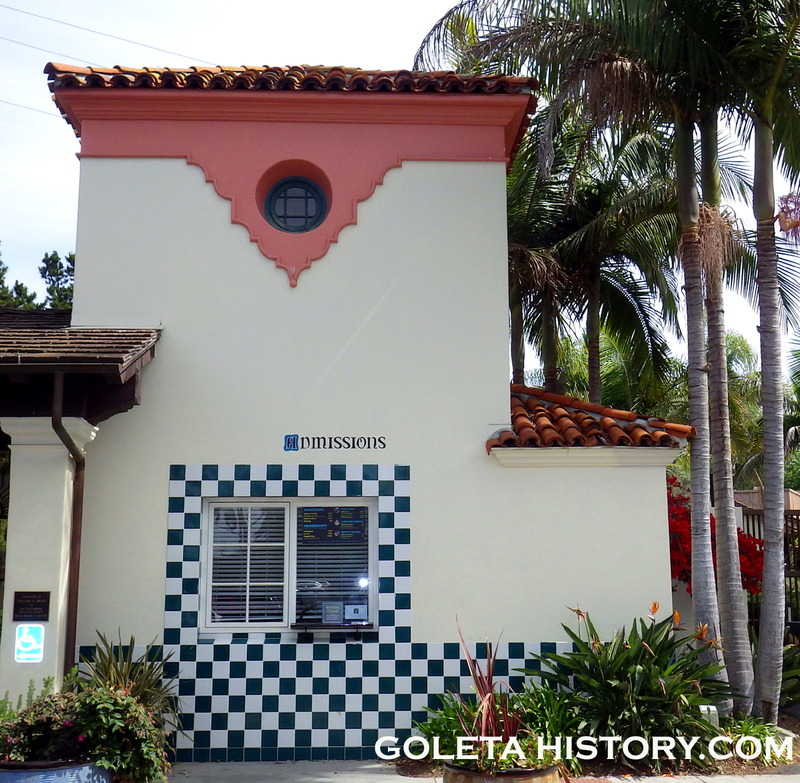 When it was completed in 1929, it was a exceptional representation of the Spanish Colonial Revivalism that the Community Arts Association of Santa Barbara was promoting at that time. It won some awards back in the day, and it still turns heads nearly a century later. 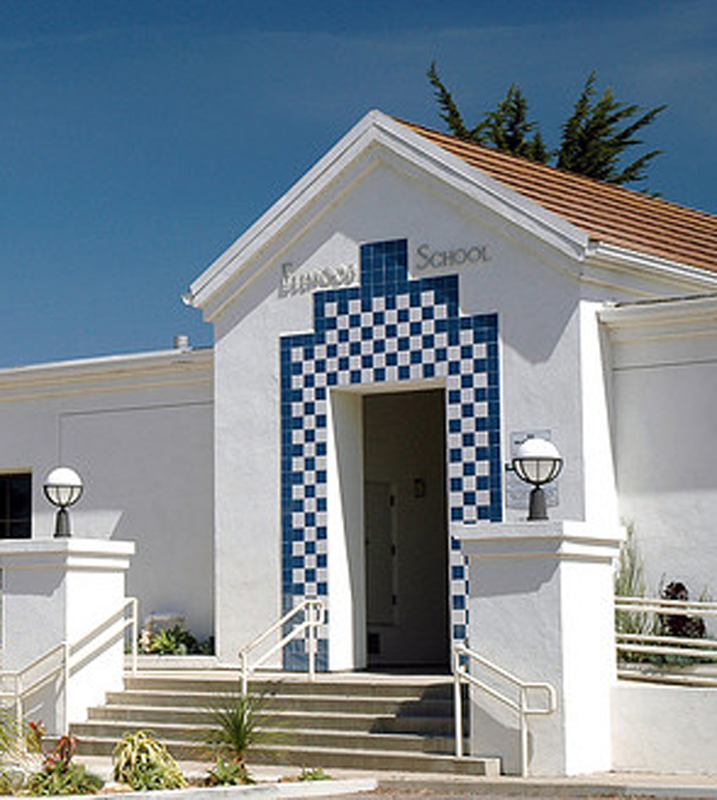 What’s not mentioned is that the school was originally built by the Barnsdall Rio Grande company as administration offices. 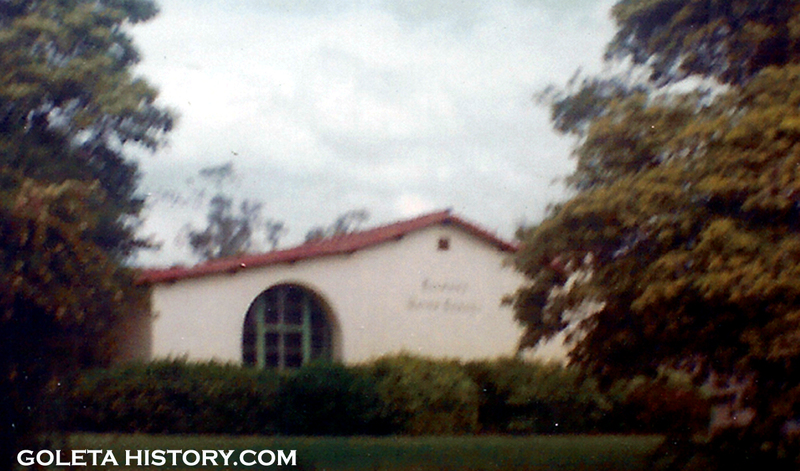 The original building didn’t have quite the flair of the filling station. 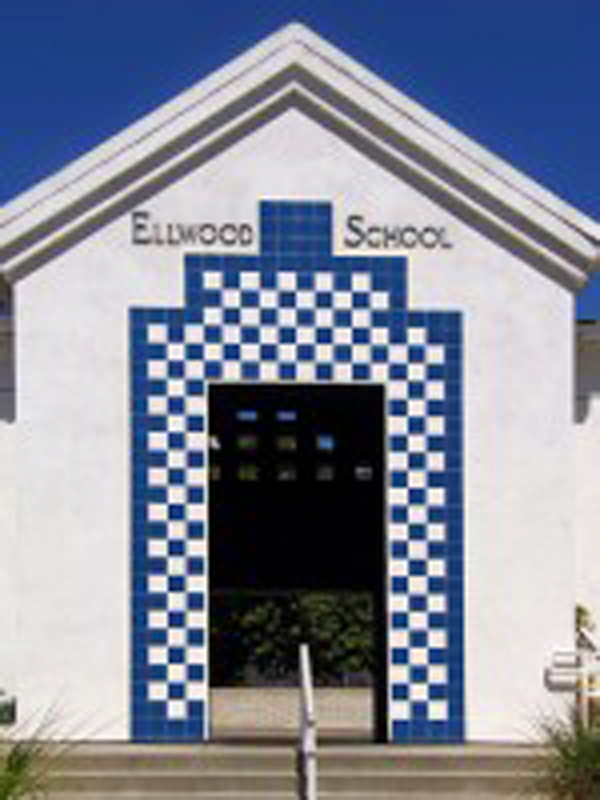 Today they call themselves the Ellwood Eagles, but when I went to Ellwood school in 1968, we were called the Ellwood Drillers, named for the obvious abundance of oil wells. We had a t-shirt with a drawing of an old style hand drill on it, that seemed to imply we would use a drill on the other team or something, so it’s probably a good thing they changed it to the Eagles. 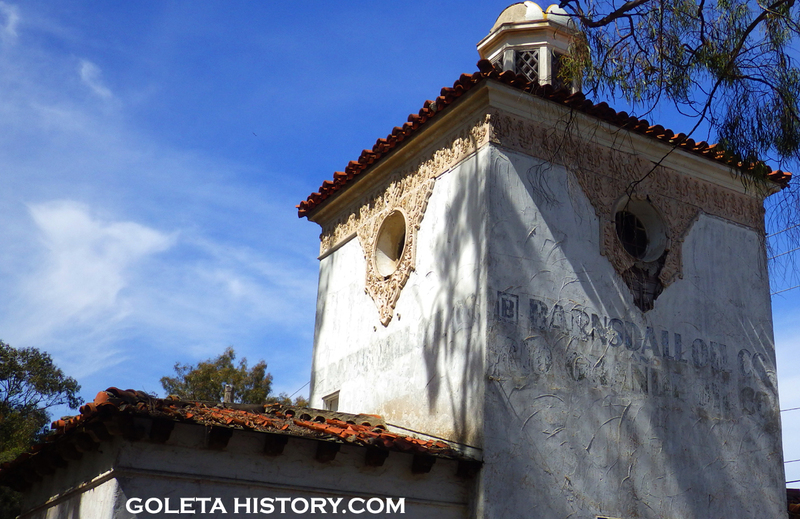 Down in Santa Barbara, the influence of the Ellwood station can be seen at the Santa Barbara zoo. 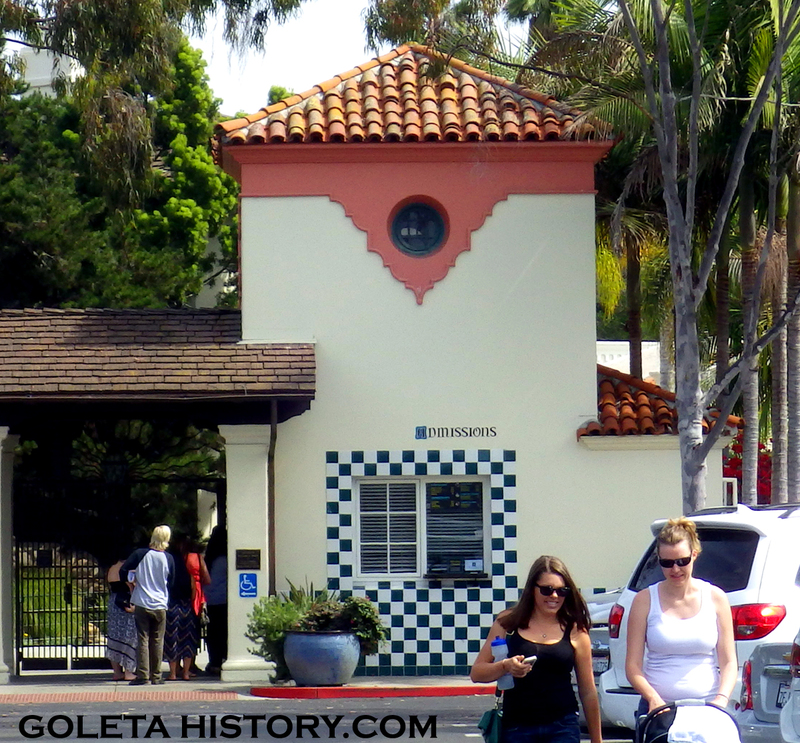 Ed Lenvik was the inspired architect that decided to pay tribute to the design of the station with the main entry at the zoo. 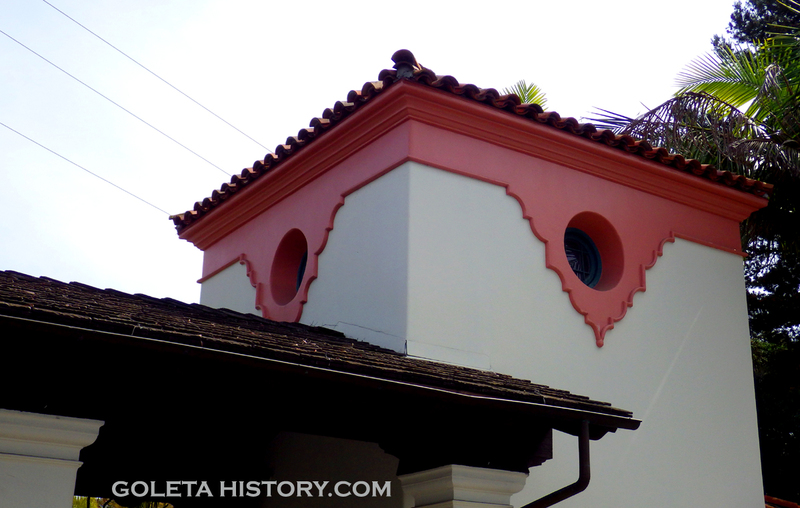 Lenvik also did some fine historic architecture when he designed the hotel behind the Sexton House in Goleta. Lenvik did a beautiful job of recreating the feel of the station. 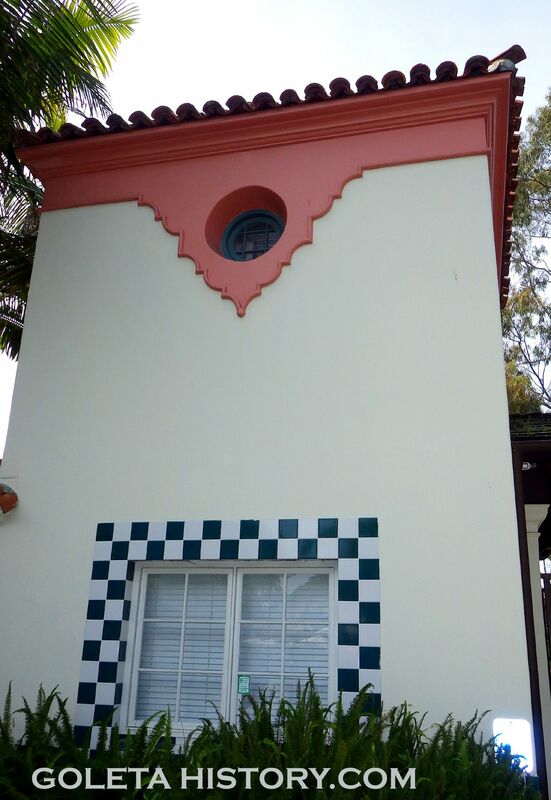 And of course, he remembered the blue and white tiles. 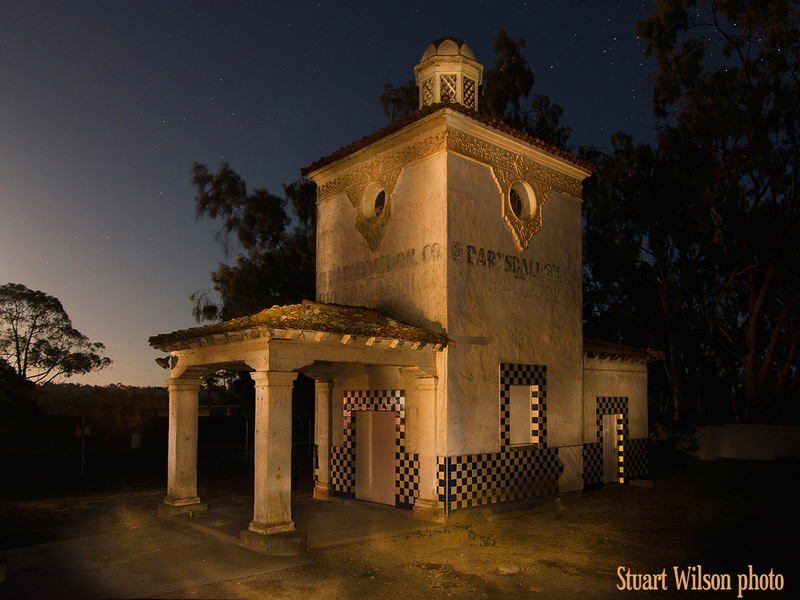 The proud structure that sits quietly at the far end of town has left an impression on countless citizens. It’s image has been painted, drawn, photographed and copied for close to 100 years. Hopefully it will soon be restored to it’s original glory, and preserved to impress future generations. Now you can have a cool shirt with an original sketch of this building on it, and make a donation to Ellwood School at the same time! CLICK HERE to check it out. 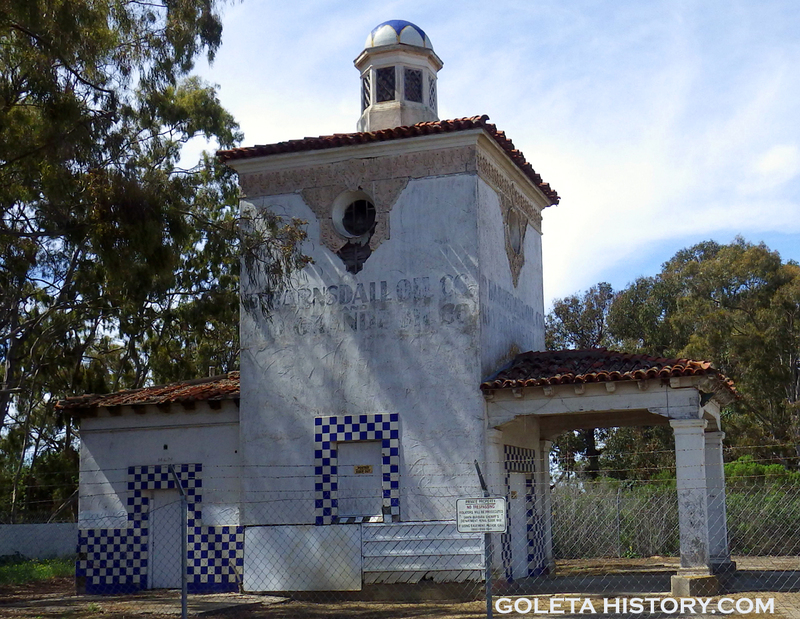 Hi Tom—I emailed the Goleta City Council members as well as Bill Medel with my concerns as to when the deed would be transferred to the city. I did get a response from Bill Medel. Thank you June! Not many people have gotten a response from Bill Medel, impressive! 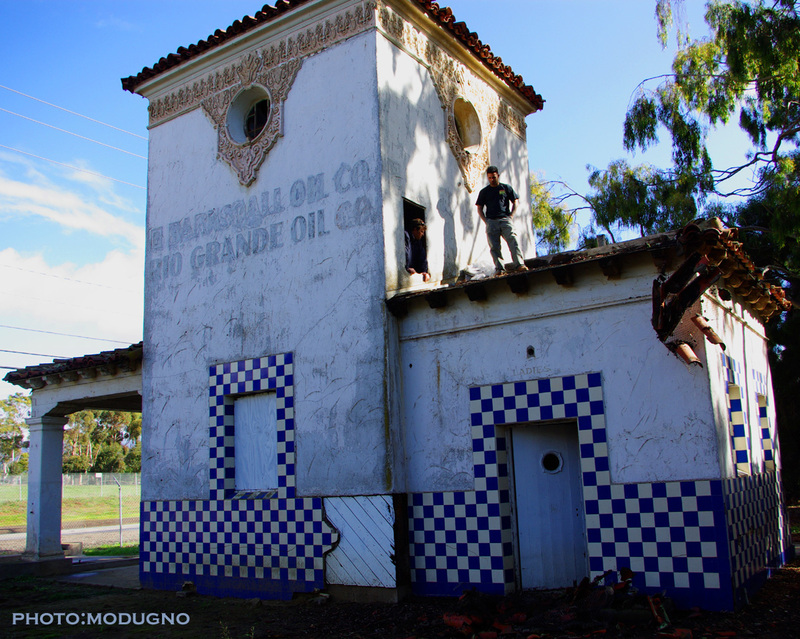 Are there funds to restore the station? If not, is there a Go-Fund-Me page set up where people can donate to the cause? I installed the fence around the station many years ago to keep the homeless and vandals out.